After exploring the sights in Lisbon and Porto, we flew down to Faro and drove over to Lagos for some beach time. Lagos is on the southern shore of Portugal, not too far from the western coast. The town itself is pretty small and easily walkable with plenty of bars, restaurants, and shops. Our hotel was on Praia Dona Ana beach, about a 15 minute walk from town. The shoreline itself is mostly cliffs, so no hotels are actually beachfront, rather they're on top of the cliffs and then you take stairs (so many stairs) down to the beach. Over our three days I'd say we had a good balance of doing absolutely nothing on the beach and filling our time with activities. Beaches - You really can't go wrong with any of the beaches in Lagos. 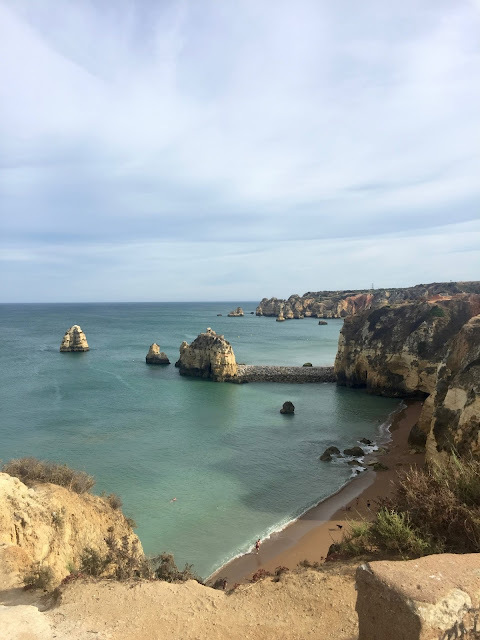 Since we were staying close to Praia Dona Ana we spent our first day there. The water was pretty cold, but definitely refreshing. The beach itself had a casual restaurant where we stopped for lunch and the option to rent out chaises and umbrellas. We also walked over to nearby Praia Do Camilho, which had even more stairs, but a little more wow factor with more dramatic cliffs and boulders. There was a small stand there for refreshments but no chaises or umbrellas, and it was slightly more crowded. I'd definitely recommend heading toward the beaches farther out from town as they're more picturesque and the cliffs provide some protection from the wind. 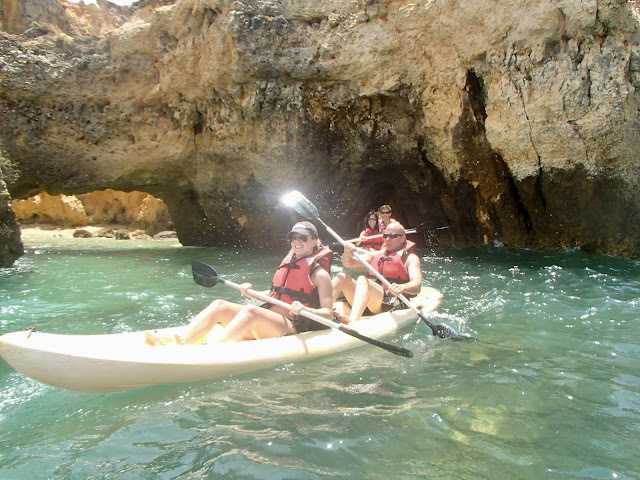 Kayaking - This was definitely the highlight of our time in Lagos. We used EZ Ride Ocean Kayak Tours and they took us all along the southwestern coastline of Lagos, weaving in and out of grottos and caves. I may have screamed a few (okay, many) times, but it was so cool to see the coastline via boat and explore such beautiful scenery. (I will warn you, though, that some people got seasick so if you get motion sickness easily, you may want to pass on this one.) We also had 45 minutes to relax on a beach, and got towed back, so you're really only kayaking for a little over an hour. 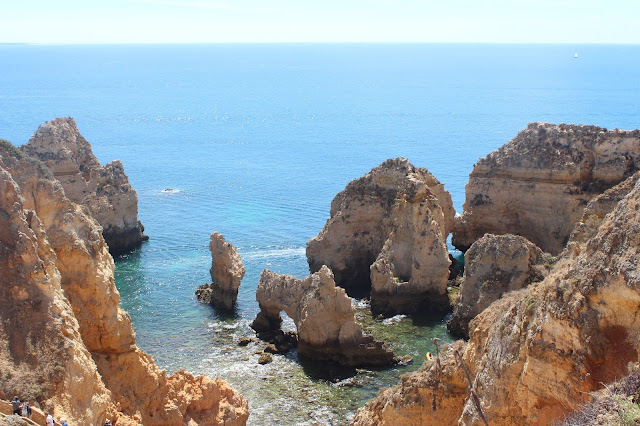 Ponta Da Piedade - This is the western tip of the town of Lagos and one of the most scenic areas, full of cliffs and natural archways. It's actually the same area that we kayaked around, but this time we drove to it and were able to see the grottos from above. Definitely drive out here and spent some time exploring the different viewpoints. Sagres - This is the most western town of the Algarve region. We spent out last day out here and loved how quiet and calm it was. We grabbed lunch right on the beach at Restaurante O Telheiro Do Infante before laying out on the practically deserted beach right below. 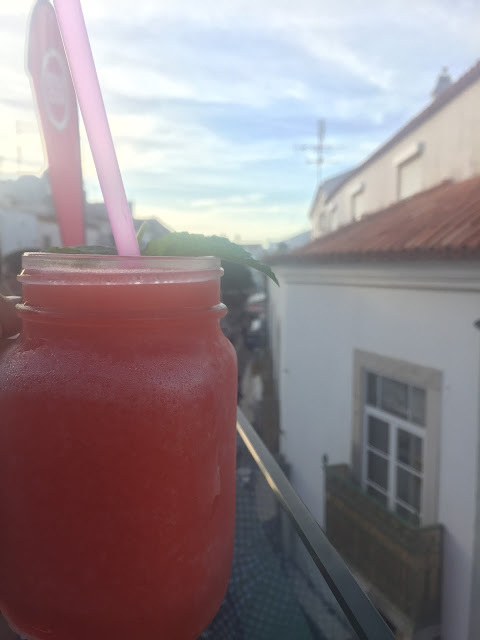 The town itself is quite small, but we grabbed some drinks at Pau de Pita before having an early dinner at Armazem in order to have time to drive over to Cabo de Sao Vicente to catch the sunset at what's known as the "End of The World." It was pretty cold, so bring a blanket or two, but watching the sun sink into the Atlantic is worth the shivering! 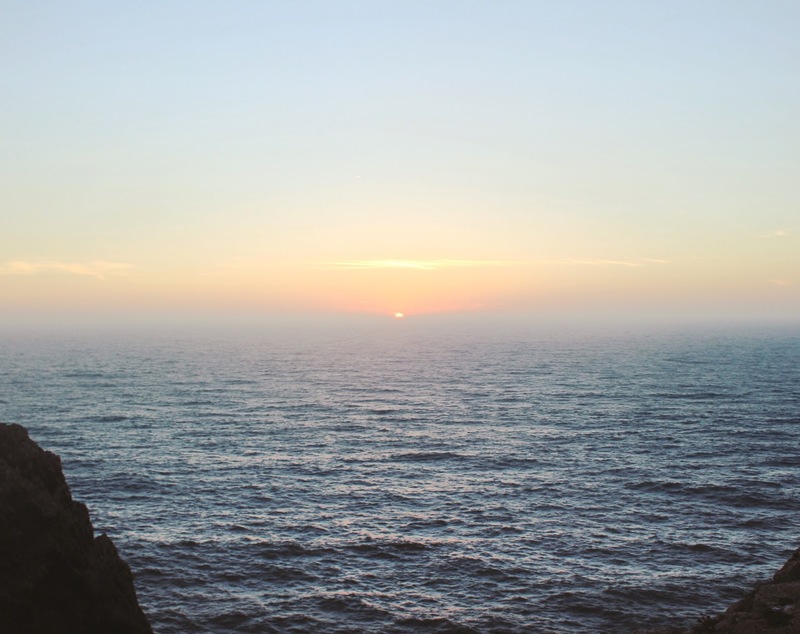 If you find yourself in Portugal, don't miss the southern coast! After a few days in Lisbon, we then took the train to Porto, a coastal city in northern Portugal, but more importantly, the home of port wine. Although I think Lisbon was more beautiful and tourist-friendly, in Porto I could really get a sense of the personality of the town and felt as though people actually lived there. 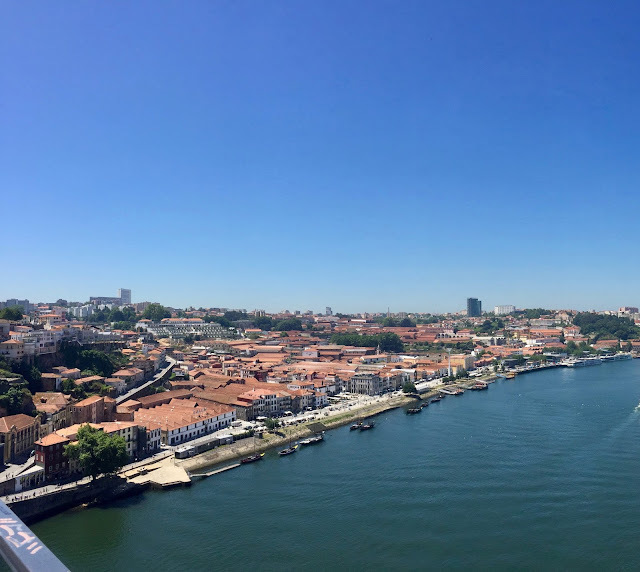 We stayed in an Airbnb right along the river in southern Porto by the Ponte Luis I, which enabled us to walk easily into the center of town and head across the bridge to the port producers in Vila Nova de Gaia. Cais da Ribeira - This is the riverfront street packed with cafes, shops, pastelarias, and bars. There's abundant outdoor seating with plenty of street musicians and artists. There's also great views across the river to all of the port producers. Seeing as we were staying right down the road, we went down here for dinner most nights. We really wanted to eat at Jimao Tapas but didn't make reservations early enough so learn from our mistake! We ended up a little up the road at Tapas 65 and although the wait was long, the sangria while we waited definitely helped! The next night we had a great meal at Ribeira Square. We also fit in a port tasting at Portologica one night after dinner, which was so much fun and a great way to great a brief overview of port before our tour to the Duoro Valley the next day. 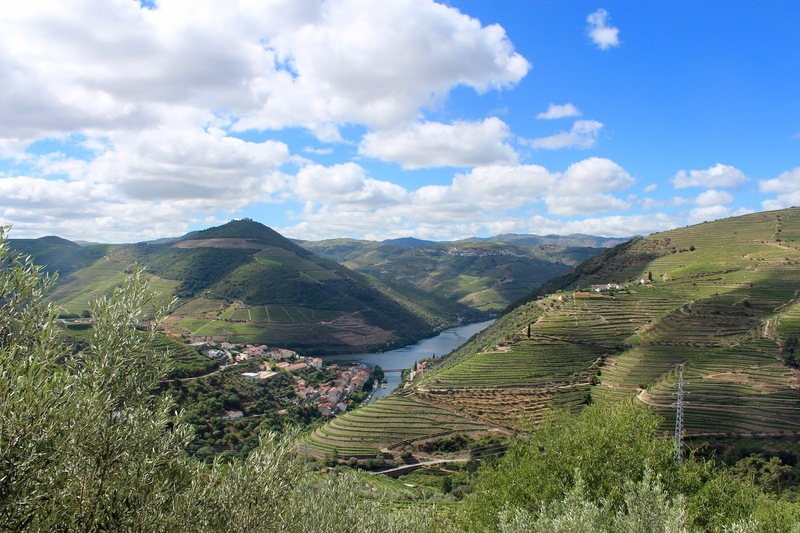 Douro Valley - Speaking of, we did a full day tour to the Duoro Valley with Cool Tours. The Duoro Valley is where port wine is made and was without a doubt one of the most beautiful places I've ever seen and an absolute highlight of our time in Portugal. We began the day by taking some photos and visiting the small river town of Pinhao. Then, we made our way up the windy, narrow roads to a small port and olive oil producer who showed us the old way of producing both. This was followed by a tasting on their deck with unbelievable views of the valley. Afterwards, we headed back down to the river and did a one hour boat ride along the river and back. Then we had lunch with the group before driving about 30 minutes to another port producer on the other side of the river. Here we saw the modern way of producing port and tasted more of it before heading back to Porto. I honestly wish we spent more days in the valley just taking in the view and relaxing. Vila Nova de Gaia - This is the town just across the river from Porto and where we were staying. We walked across the Ponte Luis I and had fantastic views of both Porto and Vila Nova de Gaia. Across the bridge there is also an old monastery that we briefly checked out before walking back down to the riverfront. Along this side, all of the Duoro Valley port producers have spaces where they give tours and tastings. After a quick lunch at Duoro Velho, right on the water, we did a great tour at Calem, followed by a tasting, as well as a tasting at Sandeman. There was definitely no shortage of alcohol over these few days! (Just as a note - you may want to reserve a spot in a tour ahead of time, we didn't at Calem but many other places were filled ahead of time.) There are also plenty of artisans along the river so we strolled past their stands on our way to the Teleferico de Gaia, a gondola that takes you up to the top of the bridge (it's super high up!). Although it was kind of overpriced, we didn't want to trek back up the hill in the heat. We loved our time in Porto and I would definitely recommend it to anyone planning a trip to Portugal! I just got back from Portugal last night. 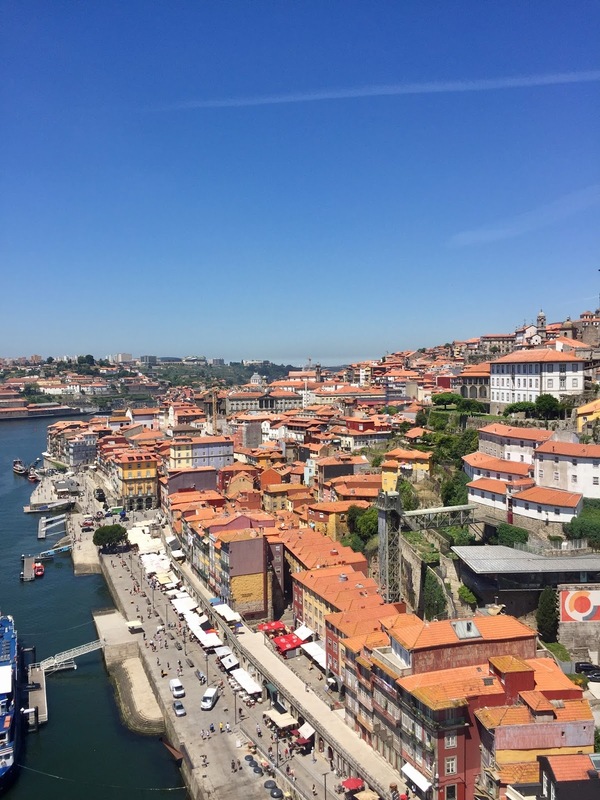 We spent time in Lisbon, Porto, and Lagos, with day trips to nearby towns, as well. The nine days absolutely flew by and we enjoyed picture-perfect weather almost the entire trip! 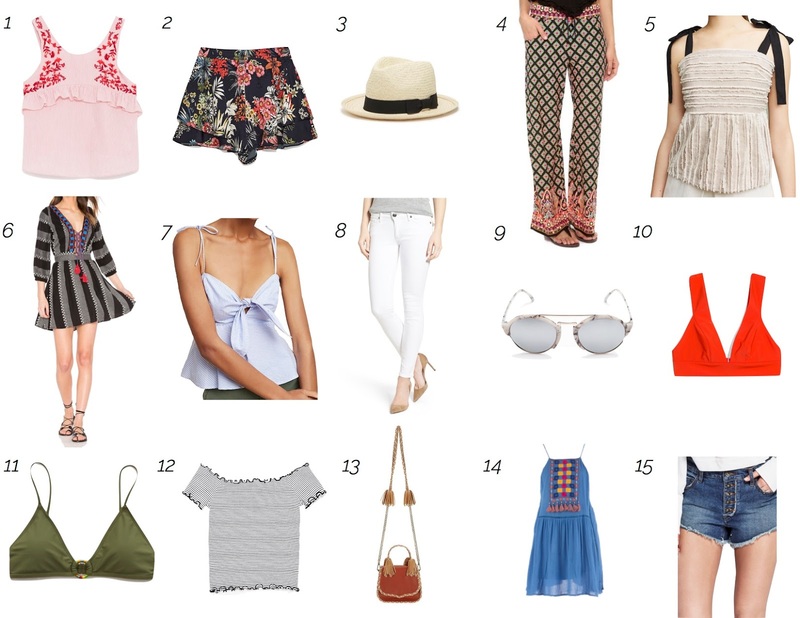 I'm definitely no expert on each city as we only spent a few days in each, but I still thought I'd throw in my two cents as well as some recommendations for each in case any of you ever find yourself there! 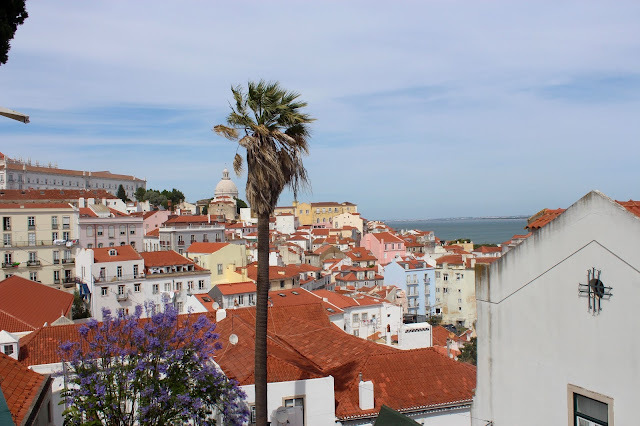 We began our trip with around two and a half days in Lisbon, an absolutely beautiful city with no shortage of colored houses, cobblestone streets, steep hills, and river views. What's interesting about Lisbon is that everything you'd be keen on seeing is easily walkable. 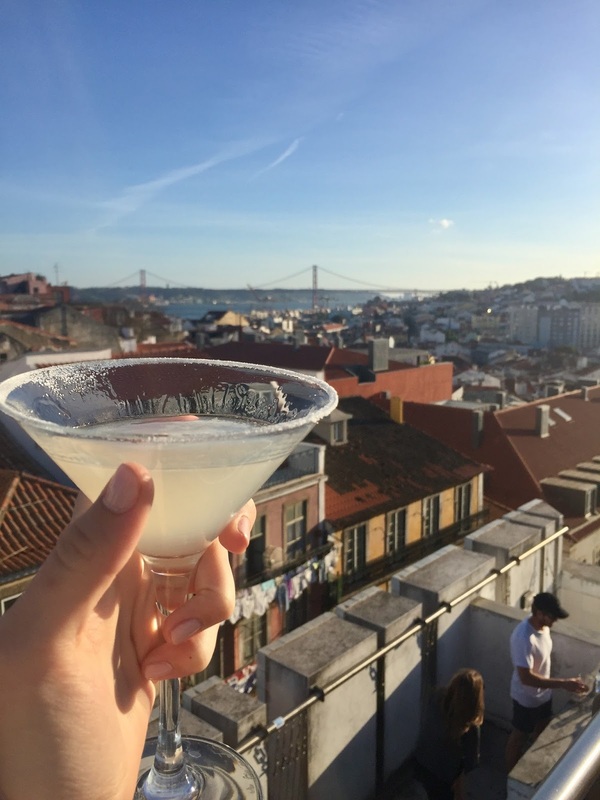 In fact, it seemed to me like no locals actually live/work in what would be considered the downtown area of Lisbon, it was almost solely composed of stores and restaurants on narrow and windy cobblestone streets and large open squares. It looked like the actual office buildings were just outside the city, and what'd you think of as Lisbon downtown was reserved solely for tourist-centered businesses. We stayed in an Airbnb in the Chiado district, which was super central to everywhere we wanted to go and I'd highly recommend it. Alfama - This is the oldest neighborhood in Lisbon, high up on the hill with winding streets and laneways. I'd say it has the most personality of any of the Lisbon neighborhoods and really gives you a feel for the city and its history. There are also great viewpoints around every corner, which are perfect to visit on your first day in the city to help you get a lay of the land. Aflama is also home to Castelo de Sao Jorge, the Moorish castle that overlooks the city. We walked around the grounds and visited the onsite museum. Barrio Alto - This is a very central district in Lisbon, nearby to Chiado. We wandered around the streets before dinner, perusing for a restaurant, of which is there is definitely no shortage. They all offer typical Portuguese food and/or Tapas, so you really can't go wrong. Plus, most offer outdoor seating! Another night before dinner we went to Park, a rooftop bar on top of a parking garage. I loved how they were able to transform the space into a rooftop oasis and the drinks weren't bad, either ;) Afterwards, we went to Principe do Calhariz, a local restaurant recommended to us by a tour guide. The menu was almost entirely in Portuguese, so we didn't totally know what we ordered, but that was half the fun. Waterfront - Although, surprisingly, there isn't a ton to do down by the riverfront, we enjoyed walking along the water on Avenida Ribeira Das Naus, and stopped by the huge square, Praca do Comercio. Both the street and the square have an array of vendors and restaurants where you can stop for a drink or casual bite to eat. 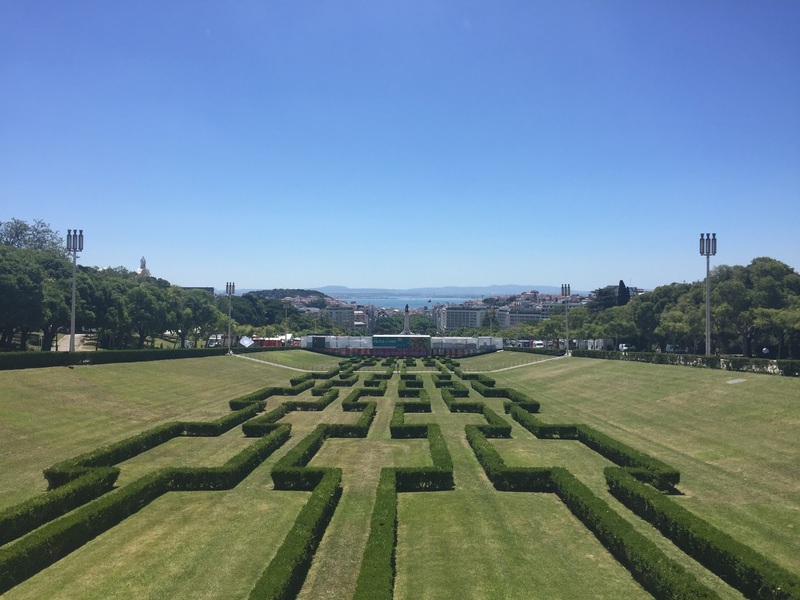 Viewpoints/Parks - We walked up Avenida de la Liberdade, the main shopping street, on our way to Miradouro do Parque Eduardo VII, a park on top of a giant hill, with expansive views over Lisbon and straight down to the river. Although the walk was tiring in the heat and direct sunlight, the view was 100% worth it and we enjoyed hanging around in the park and listening to some local music. We also checked out the Jardim do Principe Real, a smaller park north of Barrio Alto, and got a casual lunch at a cafe in the park, Esplanada Cafe. We then walked down to see the views from Miradouro de Sao Pedro de Alcantara, which was actually right up the street from our apartment. Although it's in the midst of being repaired, there are still stunning views of the castle and much of the city. Sintra & Cascais - These are two towns just outside Lisbon that we visited on a day trip with Around Lisbon Tours. 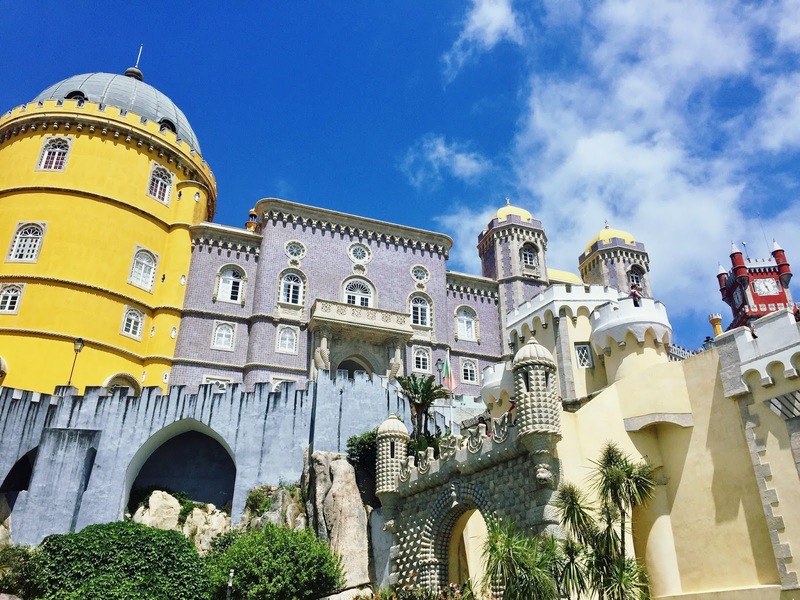 Sintra is high up on a hill and is home to one of the most outrageous castles I've ever seen, Pena Palace. We had free time to explore the castle (watch out for the wind on the Atlantic side!) and we wandered around the little village below, before grabbing some lunch and pastries from the infamous Piriquita. Afterwards, we did a quick pit stop at Cabo da Roca, the most western point in continental Europe (again beware of the winds!) before heading to the beach town of Cascais. Cascais is a picturesque town known for being a beach getaway for the people of Lisbon (as well as for many royal families!) We had free time to ourselves to walk around the town, and, of course, get gelato from their top gelateria, Santini (#priorities). Hope this helps for any of you planning a visit! Hello from Portugal! My family and I are here on sort of a graduation trip for me and my brother slash a last hurrah before we both start officially working and actually have to use vacation days (the horror). p.s. If you have any recs for places to visit please let me know!